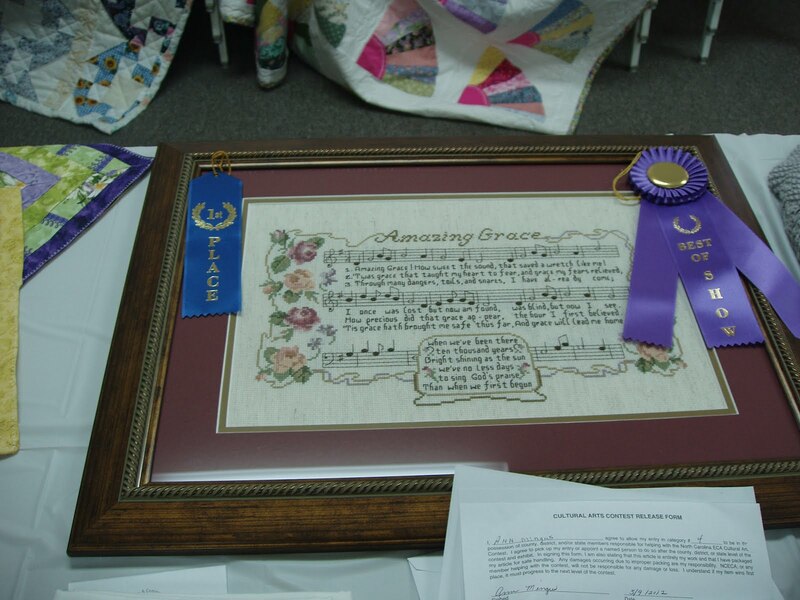 The Cherokee County Extension and Community Association was host to the West District Spring Activity Day on May 10th at the First Baptist Church in Murphy. 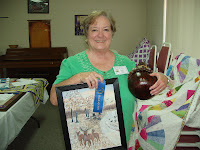 Sue Rhodes, the West District ECA president presided over the meeting that focused on the theme “Make New Friends, Cherish the Old.” Mayor Bill Hughes welcomed the group as well as Dan Smith, the West District Cooperative Extension Director. 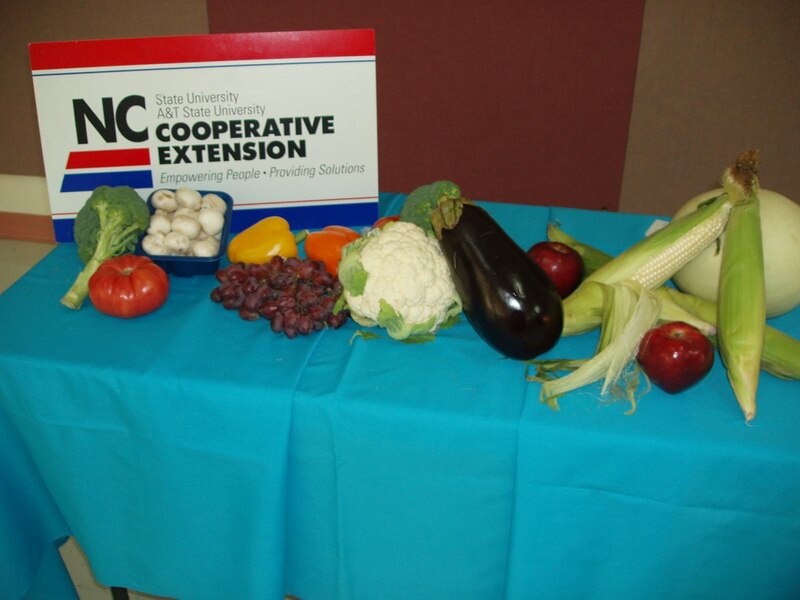 Teresa Goley, Cherokee County Family and Consumer Sciences agent, provided a brief discussion of the health benefits from eating a rainbow of colors. There was also a silent auction and door prizes during the meeting. 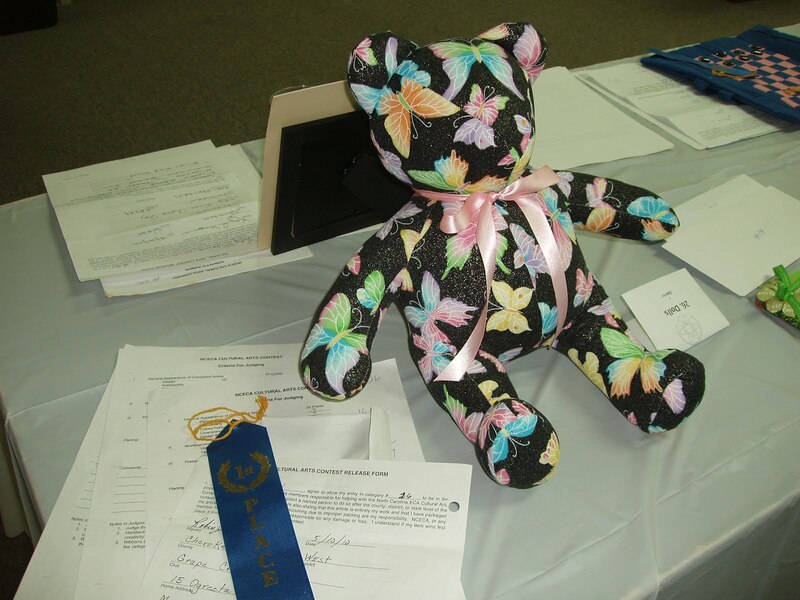 West District ECA members also submitted a multitude of beautiful items for the Cultural Arts contest. 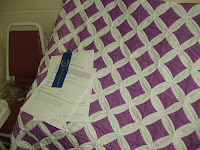 Cherokee County won a total of eight ribbons! Congratulations to the ECA members of Cherokee County! 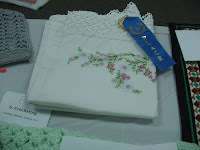 Barbara Lovingood won Best of Show. 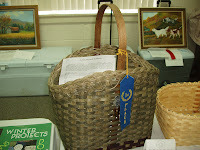 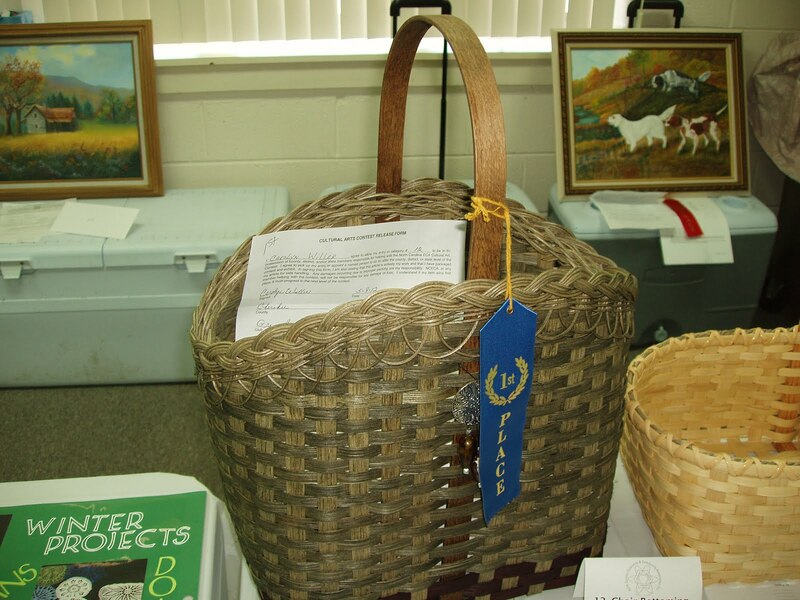 Carolyn Willer created this beautiful basket. 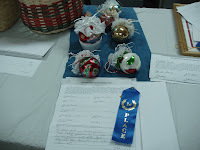 Ethel Fisher made these beautiful Christmas ornaments. 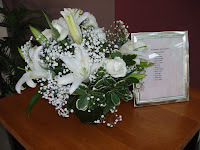 A bouquet of flowers was placed in memory of deceased ECA members. 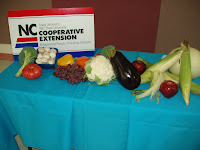 A table of fresh fruits and vegetables carried the theme of eating a rainbow of foods. 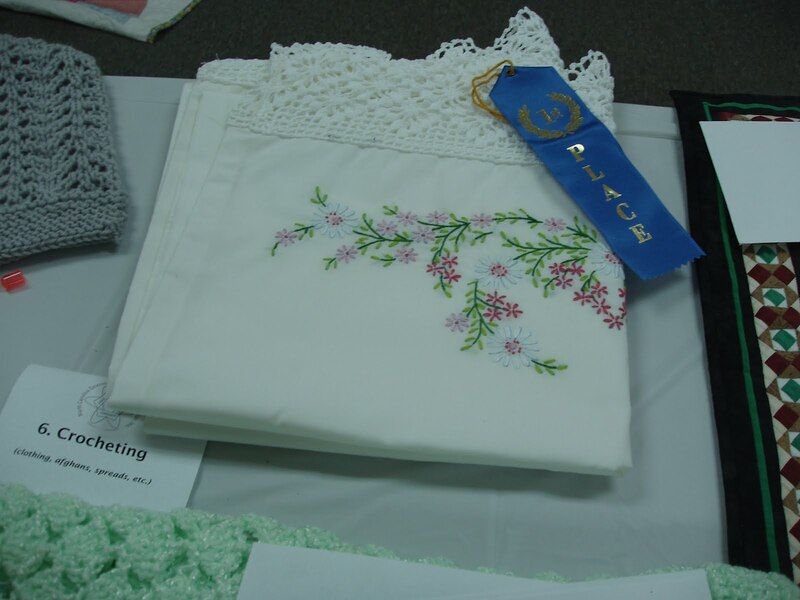 Helen Dockery made these beautiful pillowcases. Madelyn Rose won a blue ribbon for this beautiful quilt. 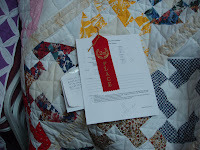 Ann Mingus won a red ribbon for her quilt. Robin Johnson created this cute and colorful bear. 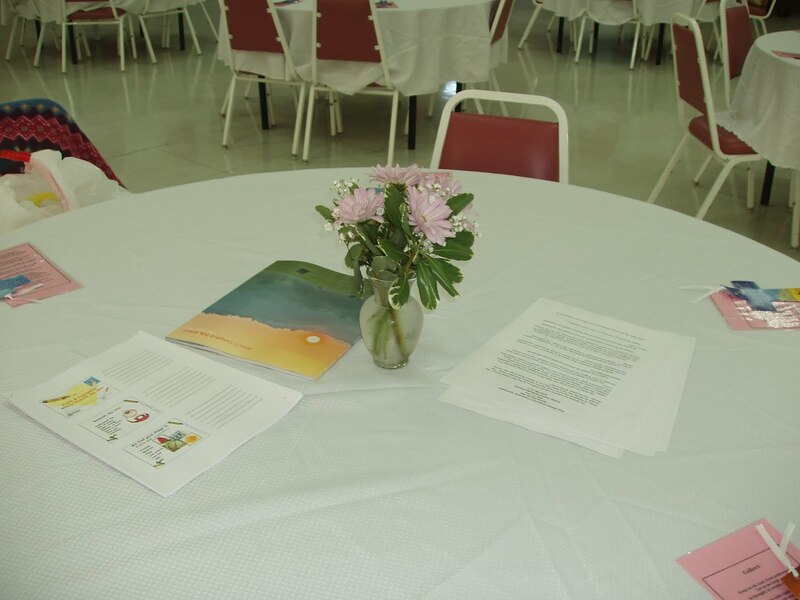 Every table was decorated with beautiful spring flowers. 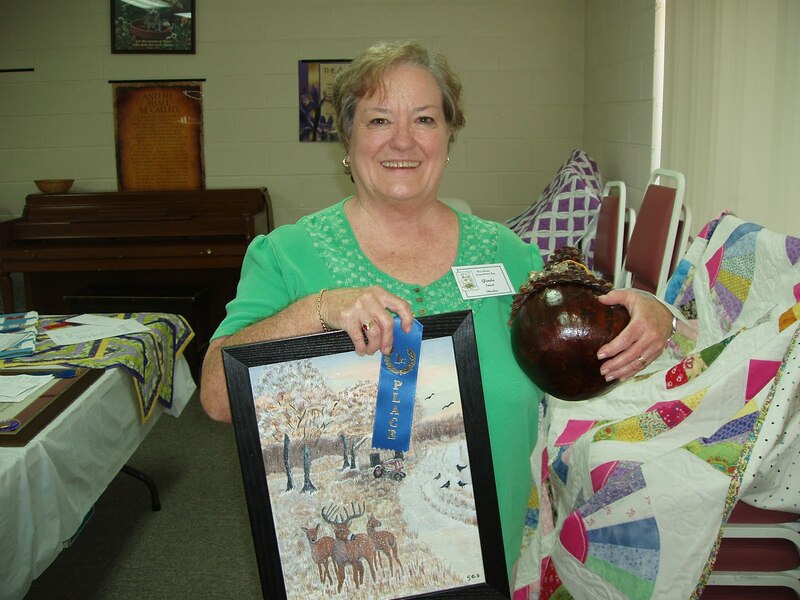 Glenda Sneed won with her beautiful oil painting and painted gourd.